Observe the shredding, storing and sifting in action through the Clear Top Kannastor Grinders. The unique blade design of Kannastor, set in crystal clear Lucite, easily shreds herbs as well as everything from coffee beans to nuts to spices. External diameter is 2.2" with a variable height depending on the sections you attach. Sifting parts are used for both filtering impurities and for capturing the essence of herbs and flowers (pollen) for holistic remedies. Standard sifting screen is 60 mesh stainless steel. The depth above the removable screen is 3/4". Deep storage chamber so you can grind and store with a removable sifting screen for easy cleaning and replacement (Kannastor pliers and replacement screens available separately). 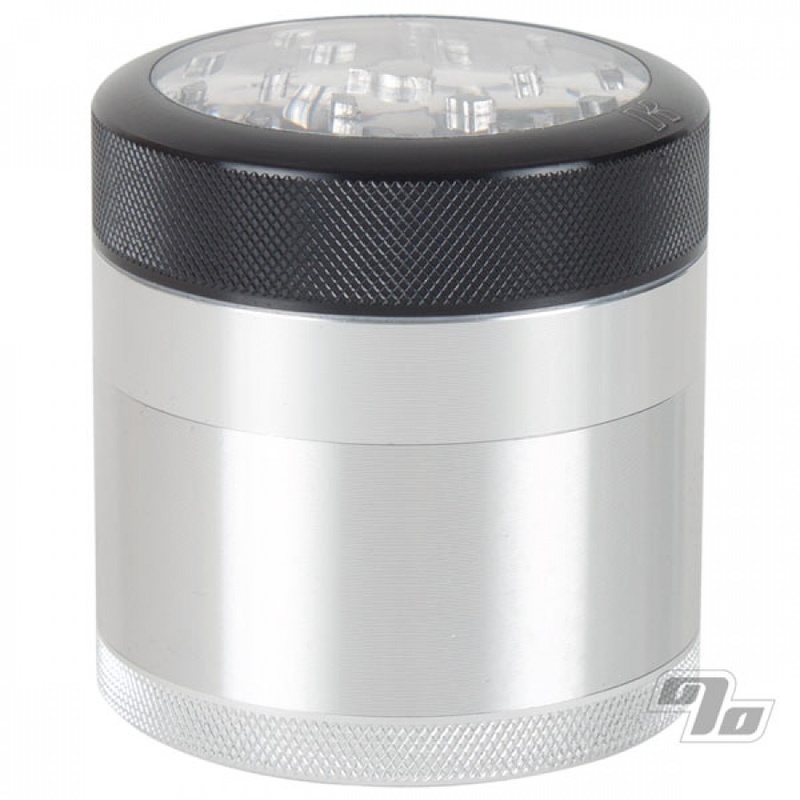 This is a great grinder! This baby does the job! 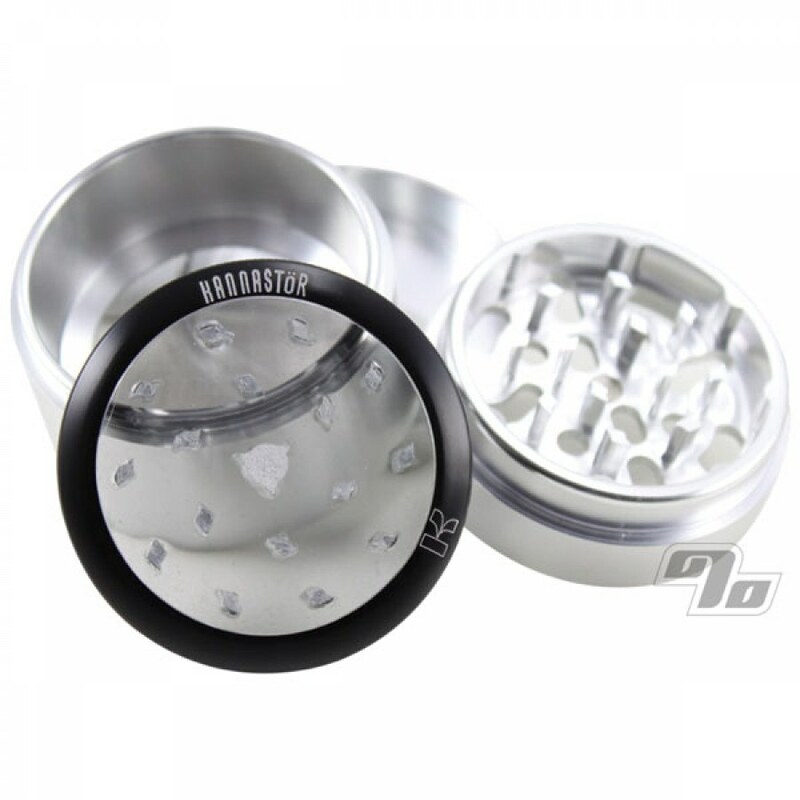 The grinder is great and Kannastor, in my opinion, is one of the best brands you can buy when it comes to grinders. The clear top is a plus, too, because it allows the person doing the grinding to see the consistency of the product being ground. I recommend if you're ok with having a 2.2" grinder then, for sure, this is the grinder for you. Love the product. Love the fact that 1percent is trustworthy and secure with transactions. The delivery time was the best part. I received the package literally less than 48 hours after it shipped. Two thumbs up! I got a new Kannastor from 1percent and I love it. Delivery was fast also. You can tell the grinder was made from quality material and to commercial standards. The clear top is a great feature with the 4 piece design too. This is my second Kannastor. First one smaller still works great. Awesome new clear top & deep storage.